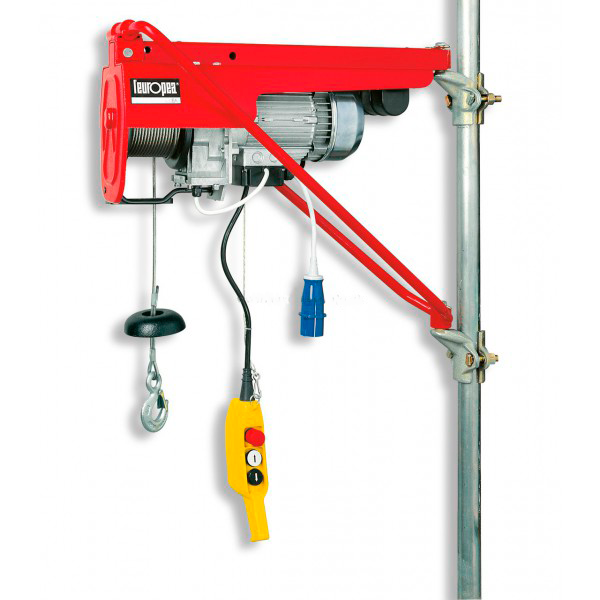 Designed for lifting loads up to 200 kg in height up to 40 m.
Suspended on any pipes F48-50 mm, which are secured and able to carry the appropriate load (for example, scaffoldings, spacers, metal structures, etc.). With the help of accessories, it is possible to use the “crane-in-window” principle on balconies, roofs. Particularly effective for mounting sections, formwork, lifting loads of uncomfortable sizes.